Empower yourself with File Comparison tools from Softinterface. Compare Files of all types. Compare Doc - Compare XLS - Compare PDF, Text etc. Need a file compare utility? You've come to the right place! Specializing in File Comparison software, we empower you to leverage the latest software technology to automate the workplace. 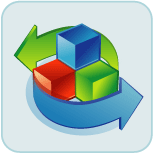 Below you'll find a summary of file compare software programs. Compare Files with 'Diff Doc'. MS Word/Excel, PDF, Text, RTF, XML, HTML, etc. Both Side By Side and All In One views are supported. 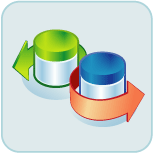 Compare any version of Access to another Access Database or SQL Server or visa versa. Identify structure or metadata differences between databases. Create an HTML summary report of the differences between a specified table between two databases. Copy Data from one database to another. The code required to integrate this component in an application is very small. File comparison or Diff data can be saved to a tabbed delimited file which is easily imported into Excel. NOTE: CompareFilesX is an ActiveX component designed to assist software developers to quickly add a text comparator to their applications. Download and see for yourself why SoftInterface is one of the fastest growing software companies on the planet. "I have a small (2 Attorney) law firm and do quite a bit of contract intensive business law and real estate work. Like many others I have been very frustrated by Word's erratic document comparison tool. At times it highlights entire paragraphs rather than just the changes. Like everyone else who has griped in this forum, I too found the pricing of Delta View to be prohibitively high. After reading about Word DocDiff here, I recently downloaded the trial version from the Word DocDiff website http://www.SoftInterface.com <http://www.SoftInterface.com> . I found the interface very useable and the results (for my purposes) were quite good. 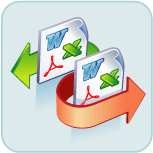 It can provide several different views illustrating the changes made to the document as well as a combined "redline" document in word format showing all of the changes. It can also provide a report identifying the page and paragraph number where the changes are located. 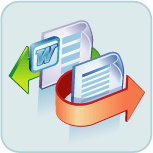 "I found a product called Diff Doc that seems to work quite well for comparing Word documents against other Word documents! (I don't know how well it works with WordPerfect, though the documentation claims that it is supported). Like many of you, I was looking at DeltaView and was very upset at their inability to work with us on the pricing structure. Diff Doc can also run from command line, so integration with document managers is a snap (the author modified the code over a couple of hours for me to get it to work with WORLDOX Versioning. In return, I wrote his FAQ on WORLDOX integration). Download an evaluation copy at <http://www.softinterface.com/>." 'Diff Doc' Troy Piersma excerpt from a TechnoLawyer Newsletter. Use 'Diff Doc' to Diff Files!